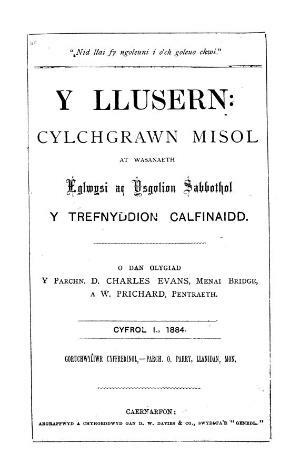 A monthly Welsh language religious periodical intended for the Sunday schools of the Calvinistic Methodists. The periodical's main contents were religious articles, Sunday school lesson and reviews. Amongst the periodical's editors were D. Charles Evans, William Prichard, John Williams, Owen Parry a Robert Richard Hughes (1871-1957).